109 Acton Ave, Homewood, AL.| MLS# 839014 | Richard Jacks UABLIVING.com 205-910-2297 | Birmingham AL Real Estate | Contact us to request more information about our Homes for Sale in the Birmingham AL area. 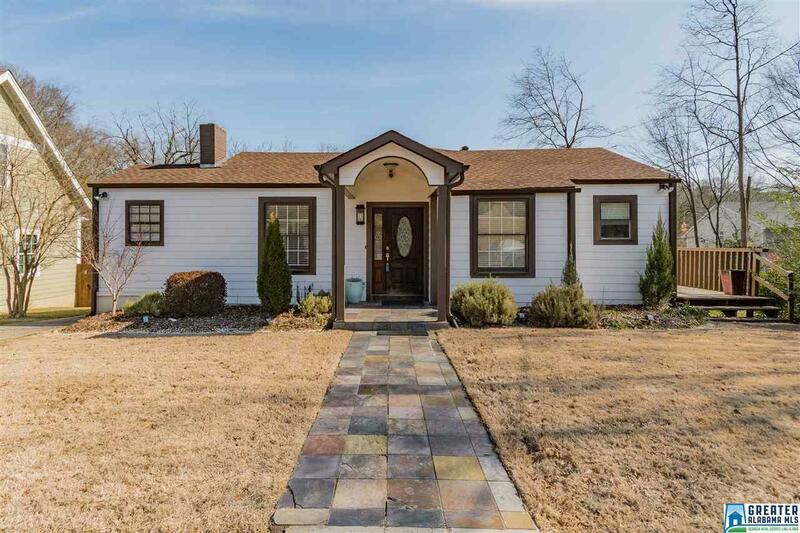 This 4 bedroom home has great updates and renovations - New exterior siding, new roof, newer HVAC, fresh paint and the hardwood floors look great. 109 Acton Ave has one of the hardest things to find in Edgewood - a second living space. You will love the bonus room in the walk-out/daylight basement. A perfect mancave, teenage space or guest area. The bedroom, full bath and bonus room downstairs has access to the large backyard. In the backyard you will find a small orchard and vegetable garden with a 300 gallon water collection system to water the grass and garden. The backyard also has A LARGE STORAGE/WORKSPACE BUILDING. The main-level is open but has defined spaces allowing for a great flow. This home offers a lot of space, a great location and updates inside and out. Driving Directions: Broadway St To Carr To Acton Ave.